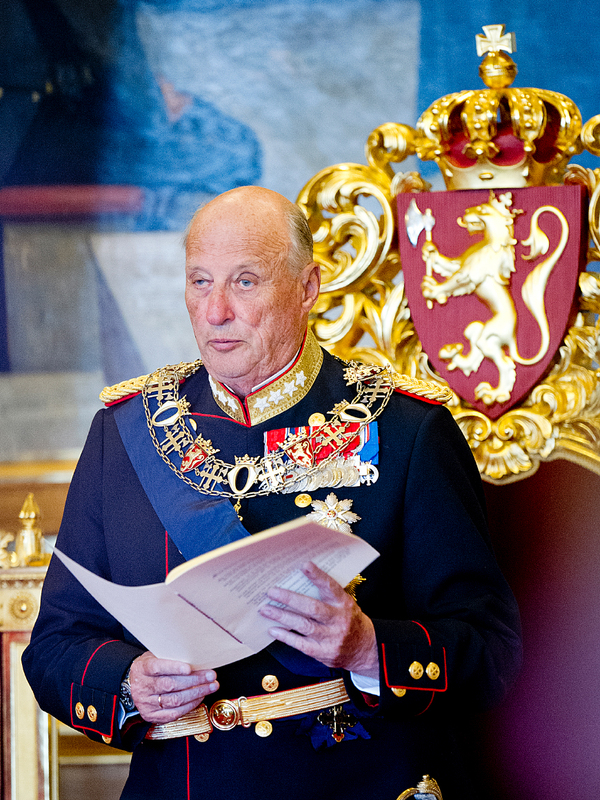 His Majesty The King presides over the formal opening of the Storting each autumn in October. The proceedings follow the fixed ceremony laid down in the Constitution. 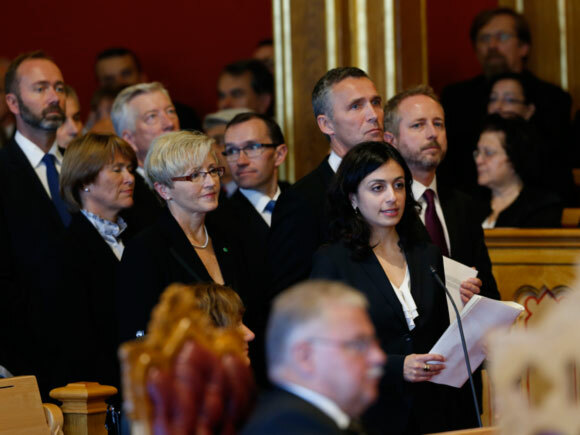 The 2018-2019 session of the Storting is the 163rd since its inception. 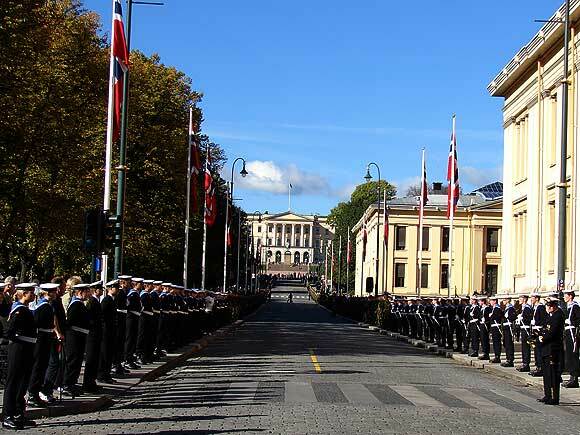 The Storting assembles on the first working day of October. When they have elected their vice-presidents and secretaries, the President of the Storting declares the Storting to be legally constituted. 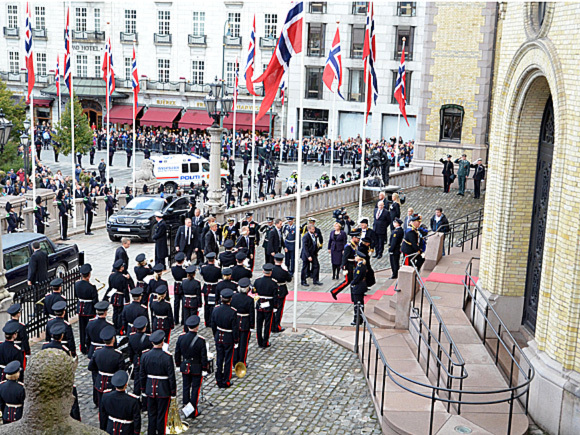 When the Storting has been constituted, the King arrives, usually accompanied by the Queen and the Crown Prince. The Prime Minister hands the Speech from the Throne to the King, which the King then delivers. 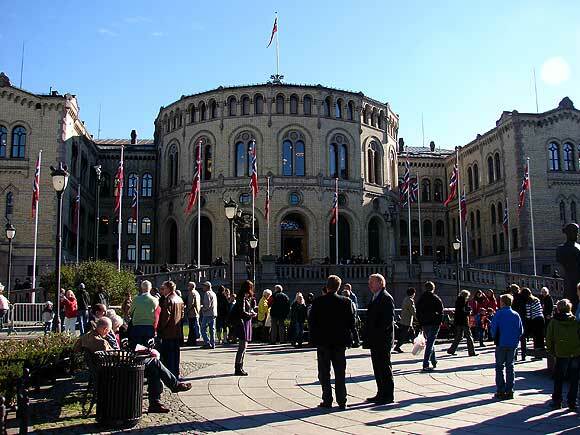 The speech presents the main features of the Government’s policies for the coming year. 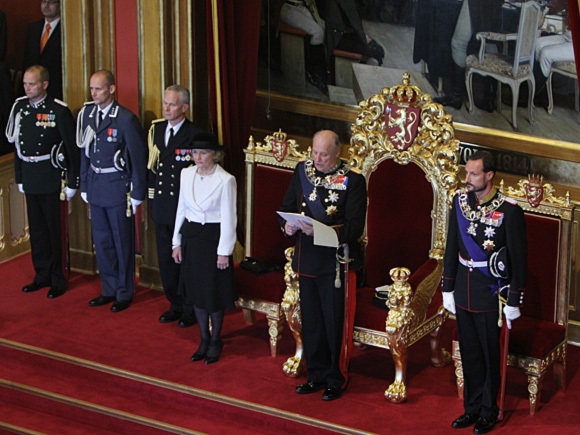 The Speech from the Throne is written by representatives of the Government, not by the King. The Speech from the Throne is followed by the Report on the State of the Realm. Read by a member of the Government, the report presents a summary of what the Government has achieved during the past year.